Live your best life! Time management will help you get to do all things you wish to accomplish in the limited lifetime that we've got. It's all about planning, organizing and prioritizing. Various approaches to time management listed here to suit your needs. Don't alter your lifestyle to make time management work. Alter time management to fit into your life! But they're totally worth the effort. Try it, make it work and enjoy the results! "So much to do, and so little time!" should be the motto of Generation Z. About two hundred years ago, one major life achievement was enough to consider one's life well lived, satisfactory, sufficient and useful to society. 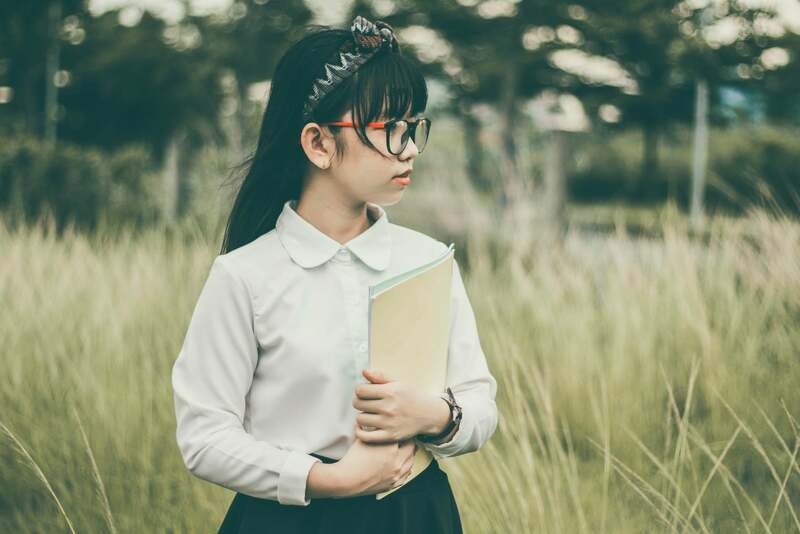 These days... oh well... when was the last time you heard about that Korean kid, who learned to play professionally five musical instrument by the age of seven, graduated from school at twelve, and started Ebay+Amazon+Apple at exactly sixteen? You haven't heard of that today? No worries, I'm sure the right image popped up in your head from hearing about such miracle of human sometime in the recent past. If you're also reading this article right now, that brilliant kid wasn't you. Is this unfair? Totally! Can you change it? Only partially. Last time we talked I told you about "eating a frog" first thing in the morning, to go without some much-hated task for the rest of the day. Which works miraculously well, if you've got one particular thing that you hate, and you have to do that. Or if it's just two things. Three - tops. In other words, something that doesn't take the whole day to finish. "Pomodoro" technique is something that helps getting a major project done, without working oneself to the point where a single thought of work is dreadful. The creator is Francesco Cirillo - a distinguished man! Remember that Korean kid, a professional musician and young entrepreneur? Make him Italian and thirty years older - and you'll be looking at Francesco Cirillo, who's a software developer, startup manager, time management specialist, consultant and innovator. The technique is so easy and intuitive that, in a perfect world, it wouldn't deserve an article (much less a book) of its own. The whole thing would only take a couple of sentences. Take your kitchen timer. Sit down and put your project in front of your eyes. Set the timer to twenty minutes. Don't let anything (ANYTHING!) interrupt your work for twenty minutes. After the timer rings - timeout, take your rest. Why "pomodoro", if there isn't a single tomatoe involved? Firstly, because "Kitchen Timer Technique" doesn't sound quite as nice as "Pomodoro". 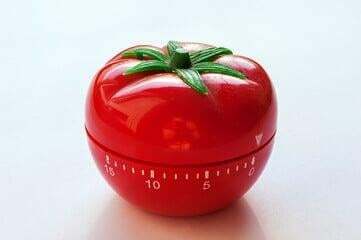 Second, because tomato is a super-popular shape for a kitchen timer (also, that's a nice way to boost the kitchen timer sales, don't you think?). Why use a timer at all, if all it takes is to track 20 minutes? To increase efficiency and help to dive deeper into the work process. To eliminate all possible distractions, including the need to look at the watch. After all, 20 minutes usually isn't that long even if you need to go to bathroom. Given it's simplicity, it's almost surprising why Pomodoro became so popular. Alas, short attention span is a side effect of living in the information society. 20 minutes seems like a lifetime of concentration for a 5-year old, but it's totally fine for an adult, who's got used to sitting through 50-minute classes in school and 2-hour lectures in college. In fact, 20 minutes is so little, and the emotional harm that can be done within that timespan is so limited, that most adults are more than willing to risk it - just take a task, focus on it for twenty minutes, and then not feel guilty taking a break to recover from whatever stress they exposed themselves to. But what can you accomplish in 20 minutes, if you really focus? Come up with a couple of solutions to a problem you're currently facing. Write an essay paragraph, a long one, or place a detailed order for a 10 page term work. Clean, slice and cut products and put them in a multi-cooker or a slow cooker. Start a blog and write the first "Hello, world!" Respond to an email that's been hanging in your inbox for two weeks. Finally decide, whether or not you're going to that event you've been frequently thinking of, or create a basic layout for an even of your own. Check your kid's homework. Write two lines of code, if you're an amateur programmer, or a block of code if you're a professional. Do a creative drill you've always thought was too silly to spend time on. Unfortunatley, not all things can be broken into 20 minute segments. You can't put a timer on a dentist appointment, or a lecture. It's not always possible to put a timer on an important conversation. Maybe that's for the best - otherwise we wouldn't be the least motivated to work on our attention span and extend it beyond a twenty minute kitchen timer. Next time let's talk about Eisenhower method, shall we?